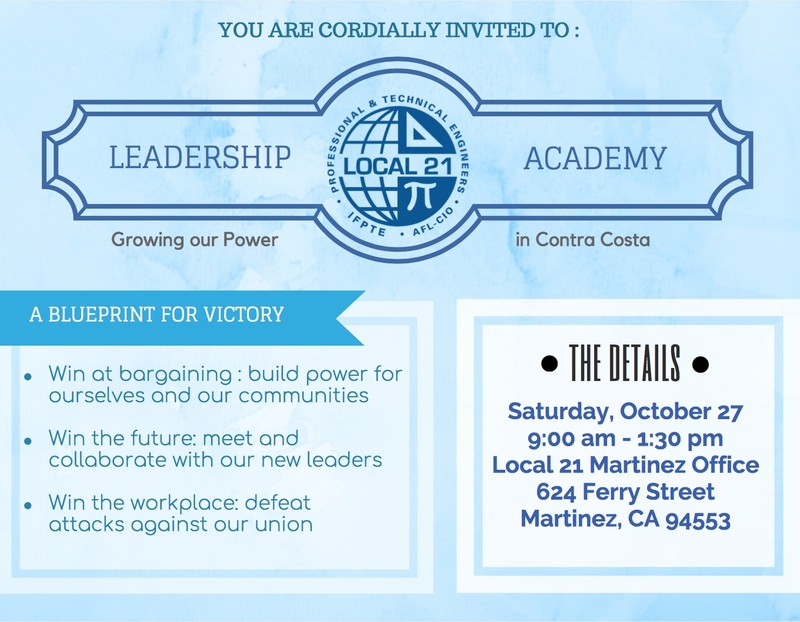 You’re cordially invited and encouraged to attend Local 21’s upcoming inaugural Leadership Academy in Contra Costa County on October 27. 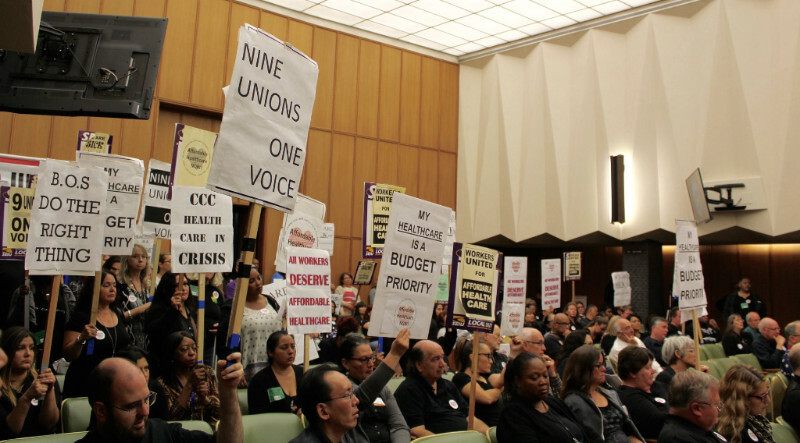 After careful consideration, you’ve been identified as someone who can help take Local 21 in Contra Costa County to a new level of member engagement, unity, and activism. This is your union. 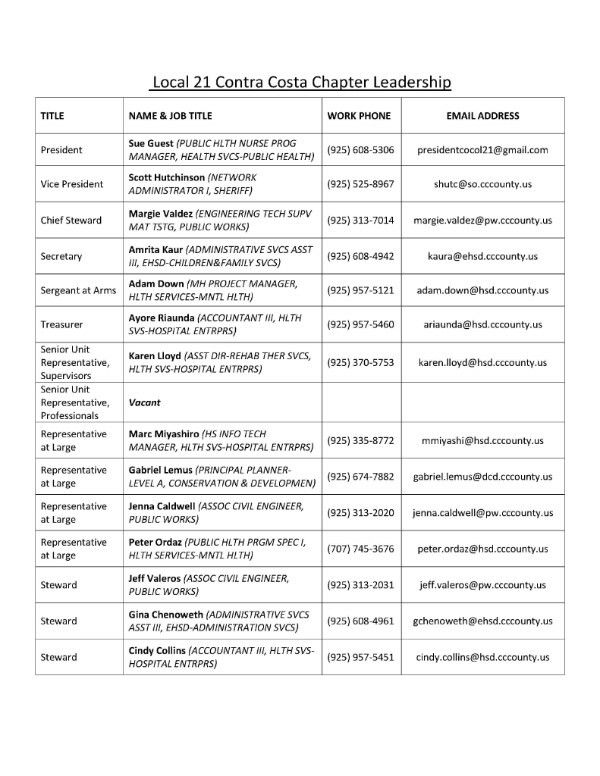 In order for our union to succeed in a new era of attacks on public services and public employees, WE NEED YOUR HELP! The Contra Costa Leadership Academy will be a half-day retreat. Join us to consider how we can WIN AT BARGAINING by building power for ourselves and our communities, how we can WIN THE FUTURE together as leaders, and how we can WIN AT THE WORKPLACE by defeating attacks on our union, our contract, as well as our wages, benefits, and working conditions. Members from across Contra Costa County will be attending. This is an important event focused on the future of our union. We need you there!